The Big Wobble: Another major quake in Mexico during period of great unrest around the world: The 3rd major quake to hit Mexico this month. 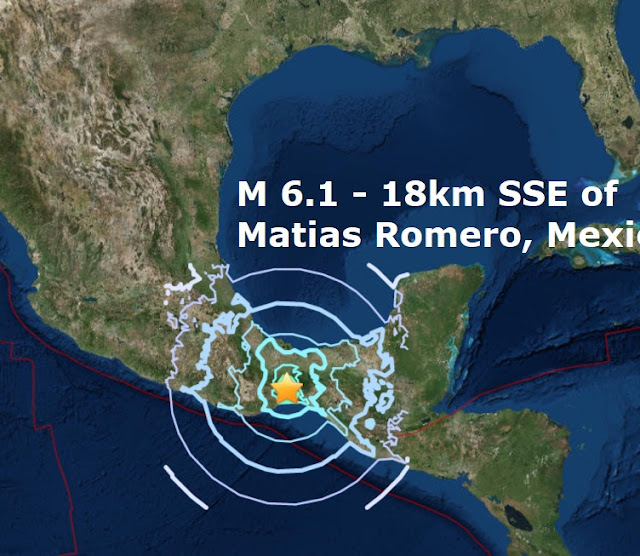 Another major quake in Mexico during period of great unrest around the world: The 3rd major quake to hit Mexico this month. Another major quake in Mexico, the third to strike this month, so far no casualties have been confirmed, nearly 300 people have died from the mag 7.1 earlier this week which caused widespread devastation. This afternoon's quake is the 9th major quake of September and only the 73rd of an unprecedented low total of major quakes in 2017 which is likely to be lowest in the 21st Century. 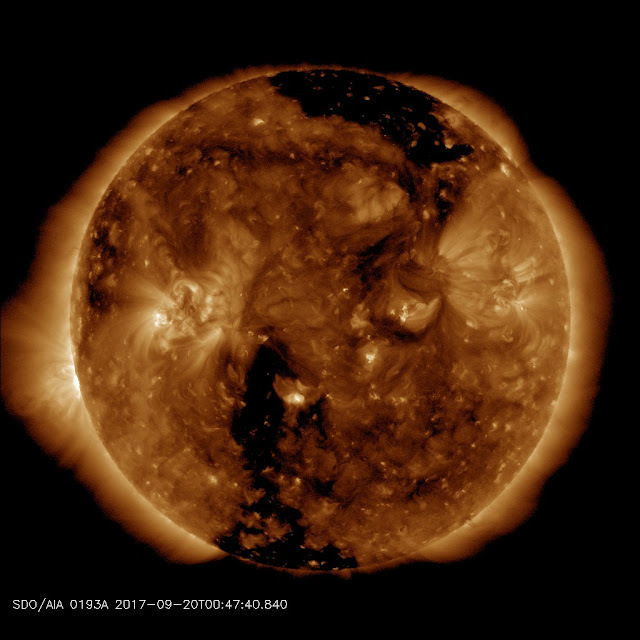 It comes as a large Coronal Hole on our Sun is facing Earth, see below.